A climate graph is a graph which shows the annual rainfall and temperature at a particular location. The rainfall (or precipitation) is indicated by a blue bar for each month. 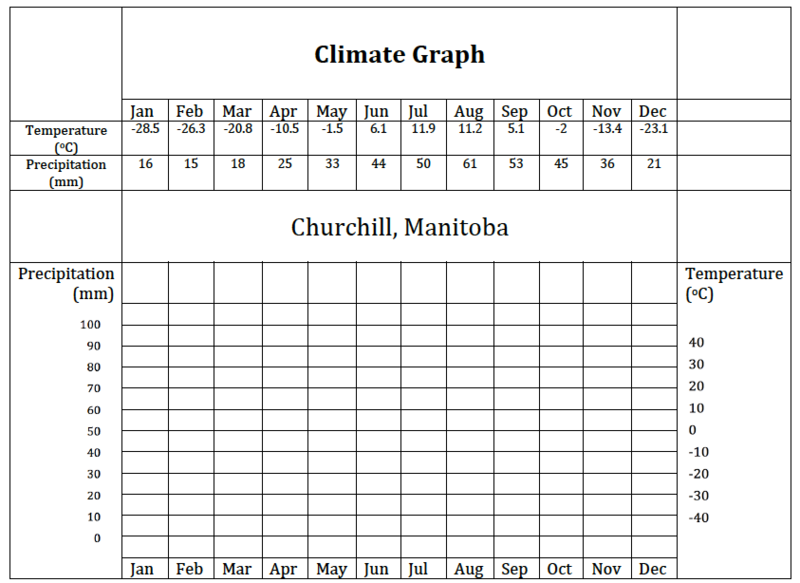 The temperature is indicated by a line on the graph showing the temperature for each month. This line is red. The months of the year are on the bottom axis of the graph. Temperature is usually on the right axis and rainfall is usually on the left axis.